When we did the 1947 Joan Crawford vehicle "Possessed" for this series, the shot I chose was a close-up of the actress' expressive face. Such was the case in "Mommie Dearest", as so much of the film's appeal depends on Dunaway's face-related performance - her screaming, her snarling, her sinister eyebrow-raising. 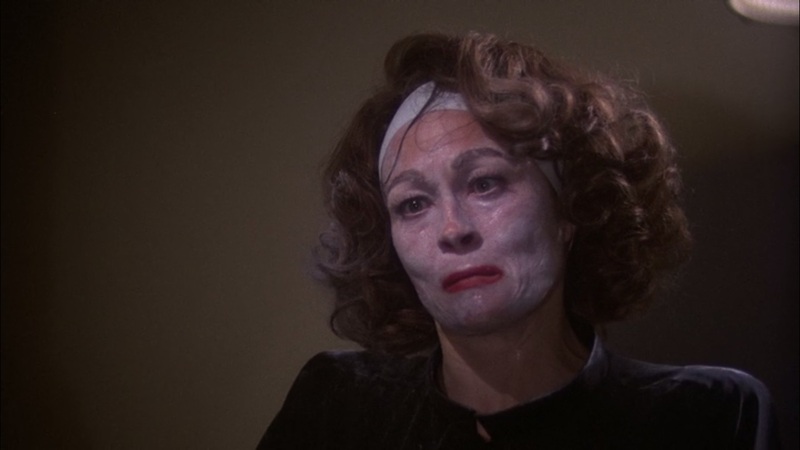 Dunaway and Crawford hardly resemble each other, but the makeup work and the performance do a great job at conveying this character. My selected shot comes at the end of that crazy "wire hanger" scene and it showcases the makeup and the performance. 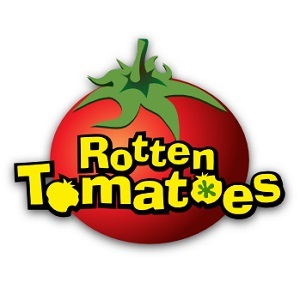 It also sums up my conflicted feelings toward the film. 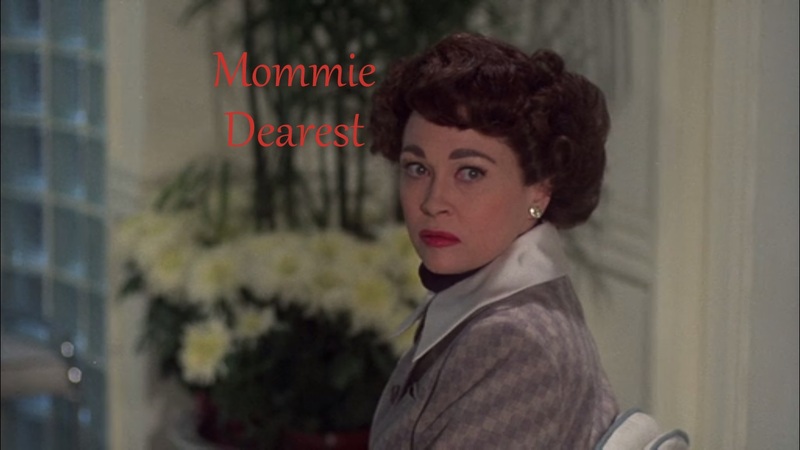 "Mommie Dearest" is simultaneously frightening and comical, with a lead performance that manages to be both the best and the worst of the year. Whichever side you land on, Dunaway makes sure you'll never forget it. That ghoulish face is the stuff of nightmares. perfect shot that captures faye's nutty performance. is she crossing her eyes here?! Yeh, she really went all out!! Gotta respect that. UGH she's so damn COMMITTED in this - it's hard not to respect her work. No, she doesn't always look like Crawford, but it still nonetheless FEELS like we're watching Crawford. One of cinema's most stunning transformations. She really did transform herself. Gutsy work.